Live like a celebrity in Palm Springs, California. It's an oasis tucked between mountains and known for its midcentury architecture, a throwback to the days of old Hollywood when Carey Grant and Elvis Presley reigned supreme. It was an escape from tinseltown. The glitz and glam of Los Angeles were replaced with poolside cocktails and hotel martinis. 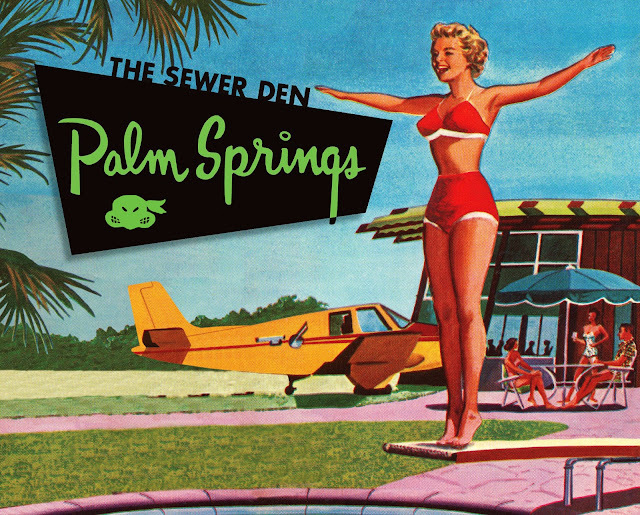 Over the years, Palm Spring has evolved but still maintains its old Hollywood charm. Vintage shops and thrift stores are the backbone of the town, with the surrounding Coachella Valley offering hiking, biking, and horseback riding trails for outdoor adventures. Join me for this 3-part travel series as we hike the Mojave Desert, explore a local toy show, comb countless thrift stores, and venture eight thousand feet into the sky onto a snowy mountain top.